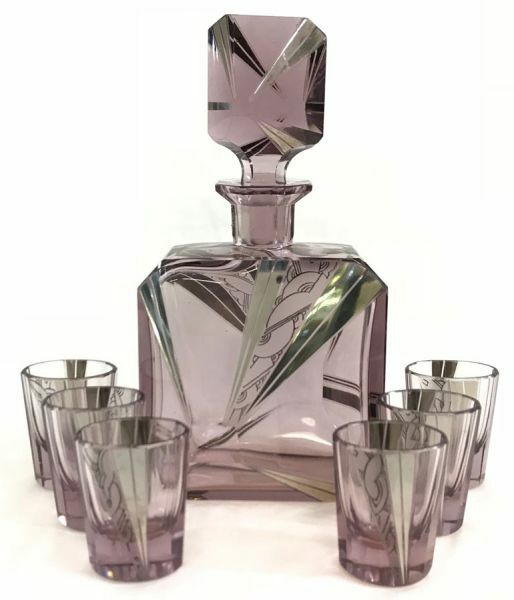 Art Deco Amethyst Glass decanter set. 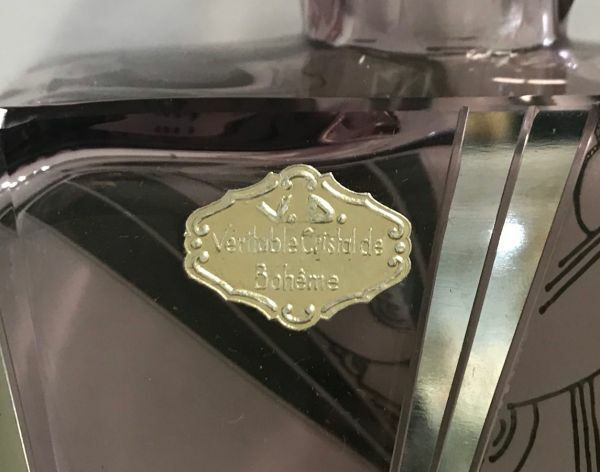 The decanter is 9 3/4” high. The shot glasses are 2 5/8” high. $1695 for the set; decanter and 6 glasses.